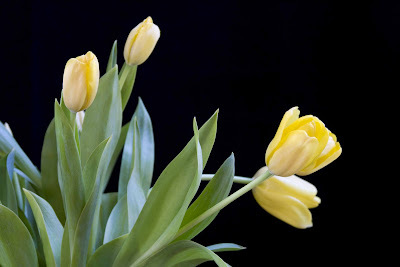 Today I began trying to photograph flowers against a black background. I used aperture-priority with a shallow depth of field. These tulips are the photo that I liked the best. Some of the others had focusing problems. But, I'll keep trying.